If you’ve landed on this article, then you probably have some vague feeling that you might need to have your company’s website redesigned. We’re here to help clarify things, and our aim is that by the end of this piece you will be able to say with almost complete conviction whether you need your website redesigned or whether the website is fine just the way it is, for now. Below we’re going to cover the three major things that should signal to you that it’s time for a site overhaul. The importance of having a fast loading website really can’t be overstated enough. Back in 2001 when the web was relatively new and internet speeds were running at a snail’s pace, you could have gotten away with having a slow site. But fast forward to 2018 and as internet speeds have increased dramatically worldwide, so have people’s expectations of how fast a site should load. And boy do they have high expectations. Research from MPulse, as reported by Hubspot found that “47% of consumers expect a website to load within 2 seconds or less”. And if you thought mobile users will spare you, you’re wrong, “64% of smartphone users expect a website to load within 4 seconds”. Google themselves ran an experiment on their homepage where they slowed it down by 100-400 milliseconds. The result? There were 0.2%-0.6% fewer searches per user. This research formed a large part of Googles decision in 2010 to use website speed as a ranking factor when people are searching on desktops. They recently expanded this to cover searches from mobile devices too. If your site is fast, then there is more of a chance of it ranking higher in Googles search results thus delivering you more traffic. Conversely, if it’s slow, then it can get knocked down the results, leading to lower organic traffic to your site. If having a slow site leading to less organic traffic wasn’t bad enough, it unfortunately, gets worse. Research from Mpluse found that, on average, a one second delay means a 7% reduction in conversion rates. And there are plenty of real life examples to prove the link between site speed and conversion rates. Online store AutoAnything found that cutting their site speed by half increased conversion rates by 9%. Similarly, BloggingPro found that reducing site speed by 7 seconds led to2 a 3% increase in conversion rates. The scary thing is, you might not even realize your site is super slow, as if you’re visiting it regularly from your work laptop/computer a lot of the webpage data is cached which means it loads faster for you than it otherwise would for a normal user, especially one visiting your site for the first time. If you want a true view of your site speed, then an objective website speed test should be done. We recommend the official Google one, or this widely used one from Pingdom. The Pingdom test will also inform you if your site is markedly slower than it should be. Additionally, you can compare your site speed results from the speed tests to the industry benchmark results from MachMetrics and the Official Google Site-speed Benchmarks. If your site is falling short on the speed front, then it could be costing you dearly, as was explained in detail above, and addressing the website speed issue should be high up on the priorities list. As was discussed at length in one of our previous articles. 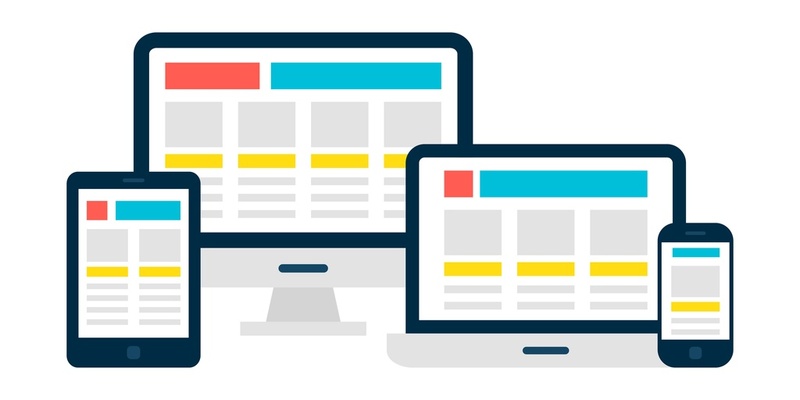 Having a responsive website is incredibly important. But why? Well, responsive websites routinely rank higher in Google for lucrative search terms, as Google includes responsiveness as a key search ranking factor, especially on mobile, where an increasing number of search queries are executed. Responsive websites also have higher conversion rates. A study by The Aberdeen Group found that that mobile-optimized websites achieve approximately an 11% higher visitor-to-buyer conversion rate compared to websites that aren’t mobile-optimized. And finally, having a mobile-optimized site will likely increase engagement and satisfaction among a larger proportion of website visitors when compared to the past, as research from Statista shows that as of Q1 2018, 51% of global traffic was coming from mobiles, that’s up from 31.16% in Q1 2015. So, if your site isn’t mobile-responsive, then that should be a key reason for you to spend the time and money to conduct a redesign. As is outlined clearly above, the expenditure will very likely be worth it due to the high chances of achieving higher organic rankings, more traffic and higher conversion rates as a result of the redesign. Your Website Has A High Bounce Rate & A Low Conversion Rate. If your conversion rate is considerably lower than the industry average, and you have ruled out other factors (price, new competitor on the scene, sudden drop in traffic), then your website’s design is most likely the culprit. If your site’s design has been the same for even 5-7 years, then the likelihood is that the design is tired and uninspiring, and the website is not responsive, which is likely turning people off. Relatedly, check your bounce rate in your analytics. If it’s too high, that is another clear sign that you probably need to redesign your website, as people are landing on your site and not able to navigate to find what they are looking for in a timely manner, thus leaving, or “bouncing”, and most likely going to one of your competitor’s websites. 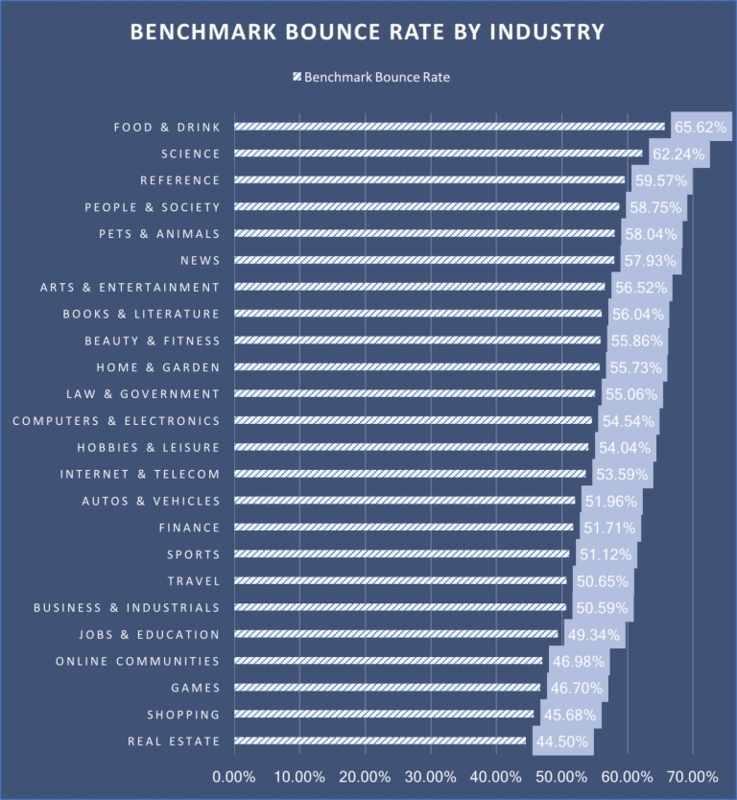 Want to know what the average bounce rate is for your industry? Then check out this link. If your website’s bounce rate is too much higher than the average for your industry, then you know you should really look at what the issue is with. Much like bounce rates, there isn’t one clean, clear cut figure for the average conversion rate, as it varies slightly depending on country and traffic source. But here is a handy breakdown of PPC and display traffic conversion rates using Google data. The average is 2.70% for Adwords traffic and 0.79 for display traffic. And this site provides a further breakdown involving different geographies. Even though there is no precise clear-cut figure for bounce and conversion rates you can get a good sense of an average from the links above. And if your site has fallen woefully below those general averages then you are most likely in dire need of a website redesign, moving to a design that reduces bounce rates and boosts conversion rates. Adopting a user-centered design approach to re-designing the site, will give give a high chance of achieving high conversion rates. So, if your sites slower than average, isn’t responsive, or has a conversion rate or bounce rate out of line with the average for your industry then we strongly recommend you look into redesigning your website to address the underlying design issues causing those problems. Yes, we know, re-designing a site is time-consuming. But isn’t the potential upside of higher engagement and satisfaction among your visitors, higher google rankings, more organic traffic, lower bounce rates and higher conversion rates worth it? Want to learn more? Check out our Free e-Book – 6 Signs That Your Company Needs A New Website.